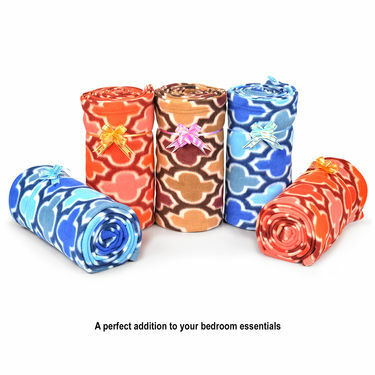 Super soft in touch and feel, the Pack of 5 Fleece Blankets are the perfect addition in your bedroom collection. 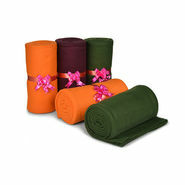 Machine stitched borders ensure that these blankets remain durable and serve your purpose for years. 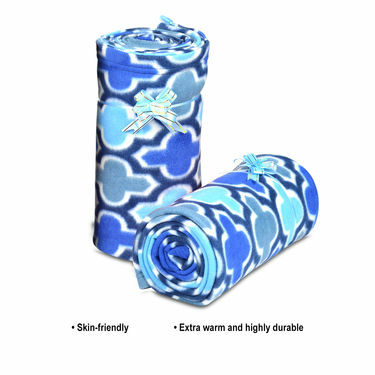 Made from super soft fabric, these blankets are lightweight and extremely comfortable. Also, they are easy to wash, maintain and store. 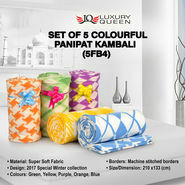 If quality and comfort is on top priority without spending much, consider buying Set of 5 Printed Panipat Kambal (5FB6). We reviewed this combo with our expertise, so as to help you in picking the right one. 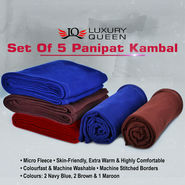 Material: Made from micro fleece, these are extremely lightweight, warm and comfortable blankets. 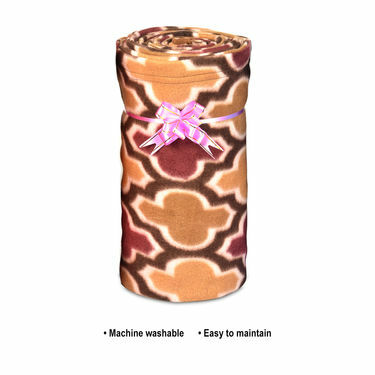 Another special feature of the blankets is that they have machine stitched borders ensuring durability that will last for years. Design/Colours: Available in soothing and relaxing colours to compliment your bedroom decor. Also, we just loved Jharokha print pattern prints all over the kambal, truly mesmerizing. 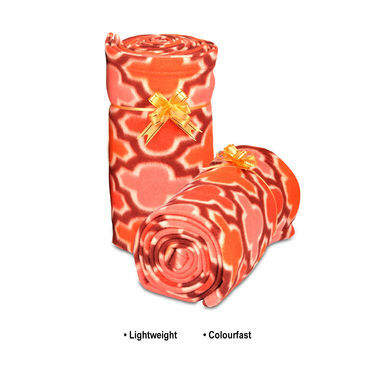 Dimension/Weight: Just like most of your other bedding, this blanket is available in single bed size. 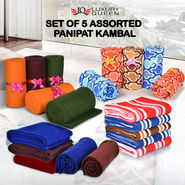 Despite of being ultra light, this blanket is very strong and a perfect companion during travel, picnics, or your visit to the hospital, hotel etc. 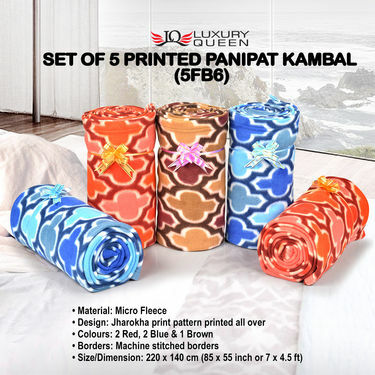 Durable: What we like about this blanket is the machine stitched borders that holds cotton sheets together ensuring durability to last for years. Maintenance: It is colourfast, machine washable and dries up quickly. No doubt, they are highly durable and low maintenance product. 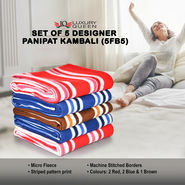 Reviewer: Set of 5 Printed Panipat Kambal (5FB6) is highly recommended if you want to enjoy its comfort and designs at this price. We are really impressed with its prints, an ideal for gifting purposes too. Kids loving it, Very light weight, warm and comfort. Beautiful colours and bright. Go for it. Total value for money.